Find affordable personal trainers worldwide and get personalized training in the palm of your hand. Get motivated and stay in shape training with affordable options from real professionals. Every trainer comes with their own Trainerize training app. Stay connected with your trainer and access training and meal plans anytime from your smartphone, no matter where you are in the world. 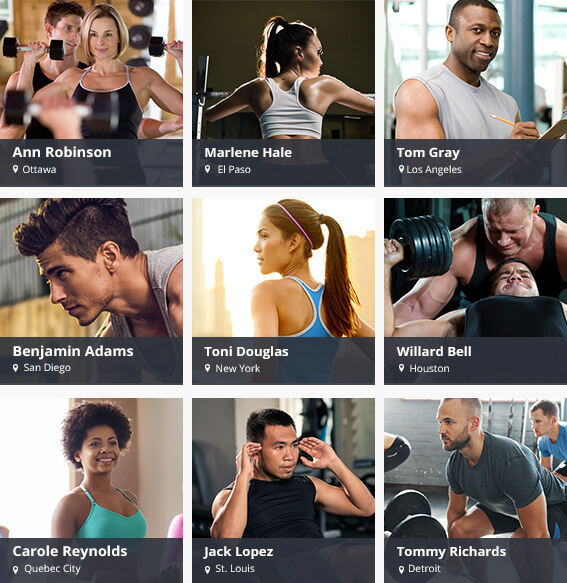 Browse through thousands of personal trainers based on location, or different services. When you find a trainer with the right blend of skills to suit your needs, simply get in touch with them. We'll make sure they get the message. Let your trainer keep track of your health by sharing your wearable and smart device activity data with them. The Trainerize app syncs with popular wearables so your trainers can create training plans based on your activity level and fitness progress! Search the world’s most comprehensive database of trainers. Your match is here.